Geographically sprawling but thinly populated, the District of Metchosin (inc. 1984) boasts a gorgeous landscape including rocky highlands, rolling farmlands, and picturesque oceanfront. 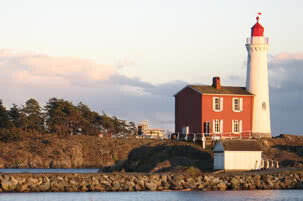 Bounded by Colwood, Langford, Sooke and the Juan de Fuca electoral district, Metchosin is central among the West Shore communities of Greater Victoria. 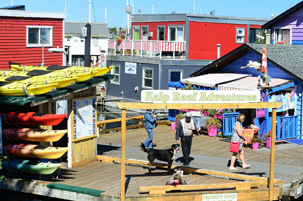 Archaeological evidence suggests a thriving population of First Nations people have lived here for thousands of years. The Spanish were the first Europeans to land in Metchosin at Pedder Bay, followed closely by Captain George Vancouver on his survey of the coastline in 1792. As Victoria developed, it led more people to the area, and during the 1850’s several farms were established, the rolling land was discovered to be quite productive, and farmers grazed their cattle and sheep on the uplands. Access to Victoria was only possible on a narrow track and therefore most supplies were delivered by boat. In 1883 the federal government constructed a quarantine station at Albert Head for inspection and control of communicable diseases of immigrants. 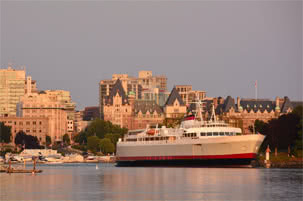 The site was soon relocated to William Head as it proved a poor choice, having insufficient water, a lack of accomodations for healthy passengers, as well as being too accessible by land. Now a pastoral rural community, Metchosin’s winding roads crisscross the municipality past secluded homes, acreages and small farms. Near the intersection of Happy Valley Rd and Metchosin Rd you’ll find a village that serves as the business centre for this municipality. 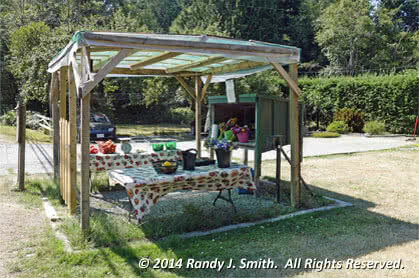 Metchosin has a fairly stable population of around 5,000 because local government has limited urban style development by imposing a minimum one and two acre lot size bylaw. Homes in Metchosin are mostly single family dwellings, although there has been considerable debate around the question of detached secondary suites, at this time debate continues. The neighborhoods of Metchosin are: Albert Head, Kangaroo, Metchosin South, Neild, Olympic View, Pedder Bay, Rocky Point and William Head. Policing is provided by the RCMP and there is a volunteer Fire Department to protect residents. Some neighborhoods have a community water system but many people rely on wells, and septic tanks and fields are used for waste disposal. Garbage pickup is by private contracter but the Capital Regional District does offer a blue box recycling service, see the CRD website for details. Metchosin Halloween – Celebrations including a costume contest, haunting hall, bonfire and fireworks are coordinated by the Metchosin Volunteer Firefighter’s Society and the District of Metchosin, held at the firehall October 31st. Matheson Lake Regional Park – 156.97 hectares providing hiking trails swimming and fishing. The lake is stocked with rainbow trout, and the sandy beach and picnic area is the perfect spot for a dip on a hot summer day. The Galloping Goose Trail passes through the park on its way to Sooke and nearby Roche Cove Regional Park. urge to escape too often – Metchosin is an escape from the hustle and bustle of urban life!